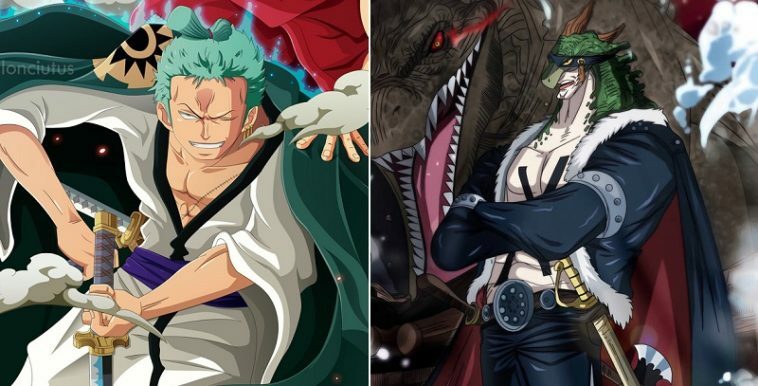 This is a speculation about Zoro and X Drake and the possible hints/clues that Oda gave us which makes me believe that the 2 of them will fight. 1. The first hint that I noticed is that it’s possible that both have a similar inspiration. 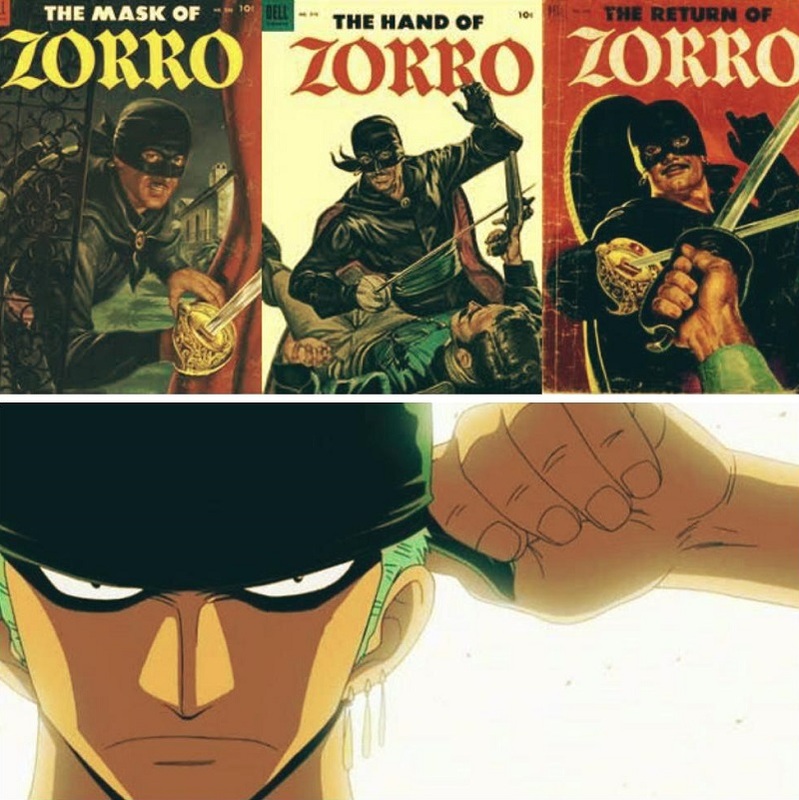 When Zoro was introduced, I immediately thought that he maybe was inspired by Zorro, a fictional character created by Johnston McCulley because aside from the similarity of their names, both of them wear bandana. Also in one of the stories of Zorro, he is hunting pirates. 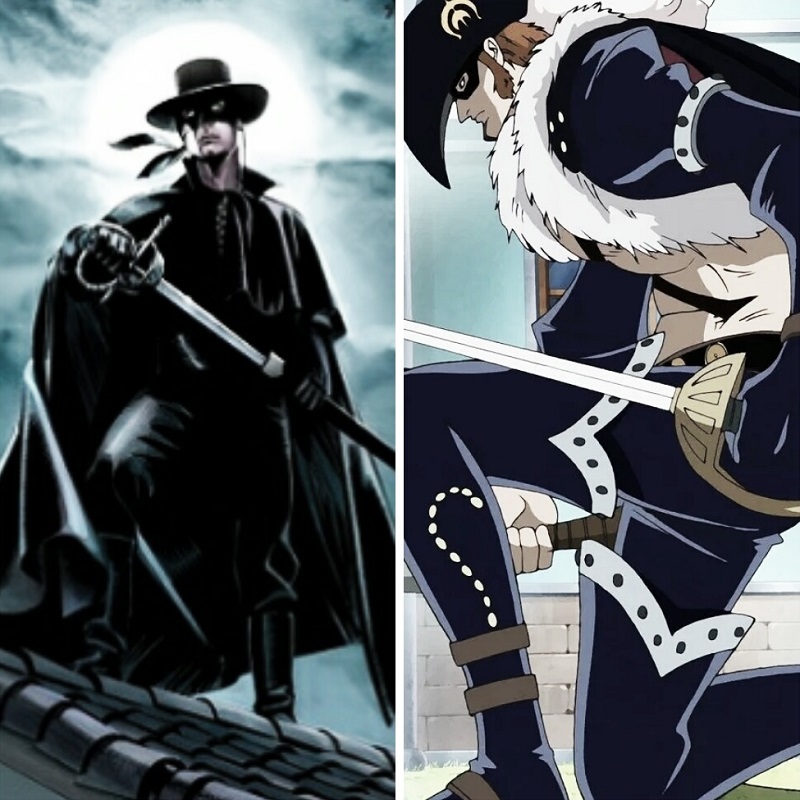 Then I thought that another character maybe also was inspired by Zorro and that is X Drake. Both X Drake and Zorro wear a mask, gloves, boots and cape. Both of them use a rapier. And just like Zorro, X Drake might also be Spanish in the real world because the X on his name is meant to be read as Diez (which is his crew name and probably his surname) that is a Spanish word. 2. The second hint is Drake’s post-timeskip look. As you noticed, X Drake changed after the timeskip as he no longer has his bicorne and he has now a headband an eye-hole that only goes over left eye. 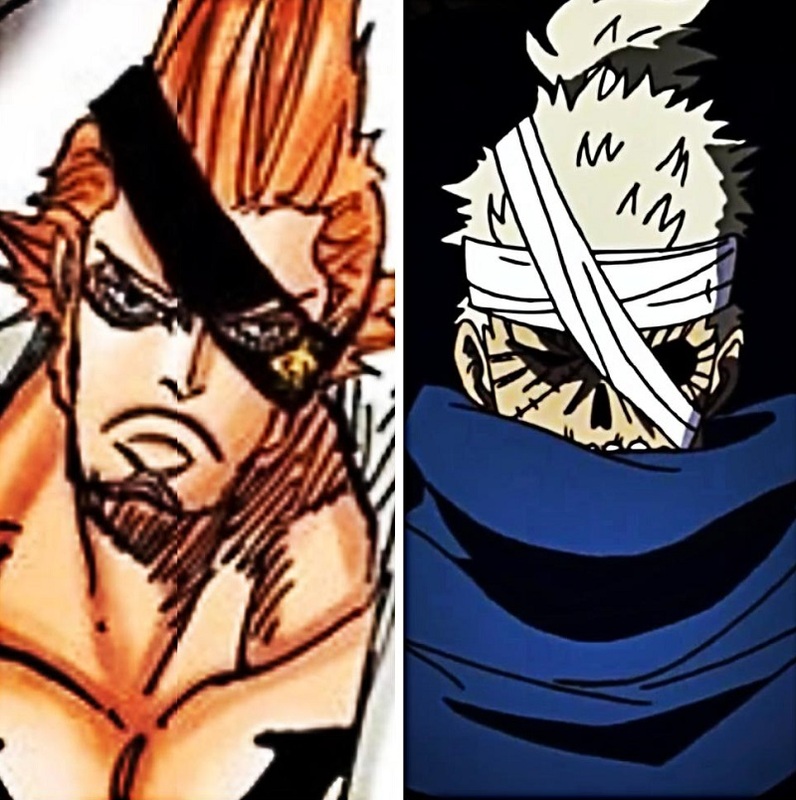 The position of his headband reminds the bandage in Ryuma’s face when he was shown in Thriller Bark. So is it just coincidence? 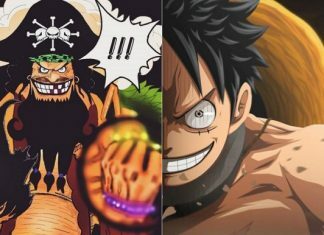 Or Oda did it purposely? 3. 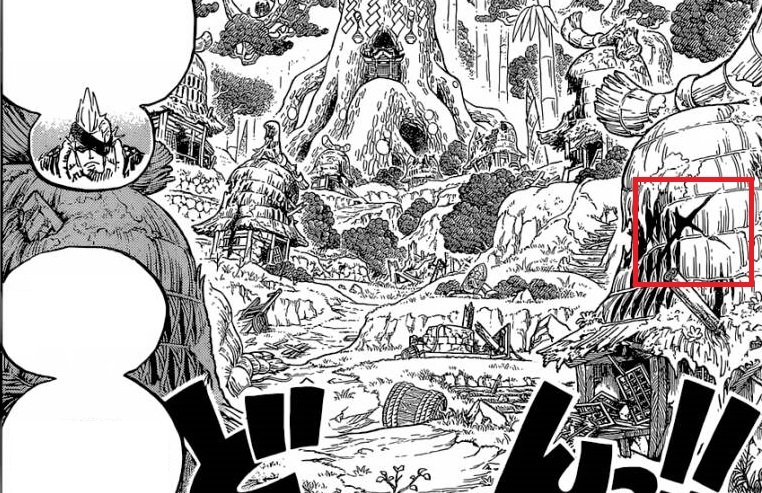 The third hint is the cover page of chapter 526. 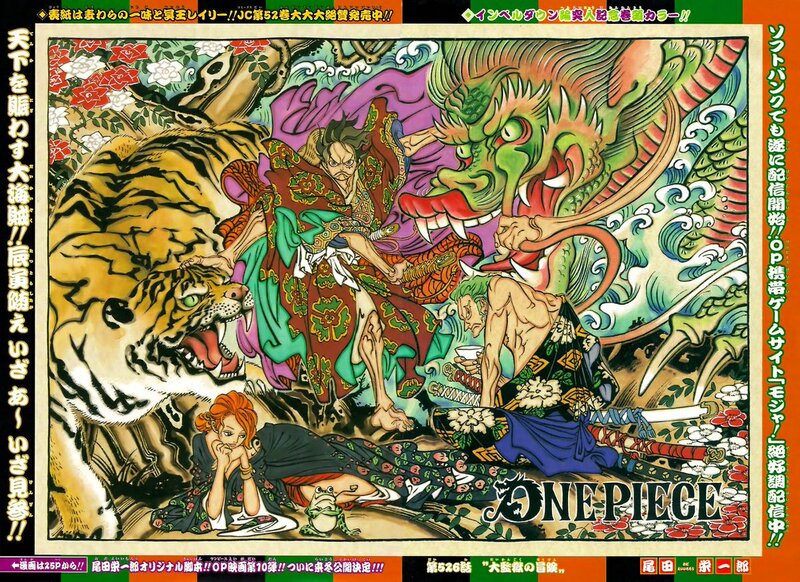 In this cover page we can see a tiger and a dragon with Luffy, Nami and Zoro wearing Japanese clothing which make this a possible foreshadowing of Wano. 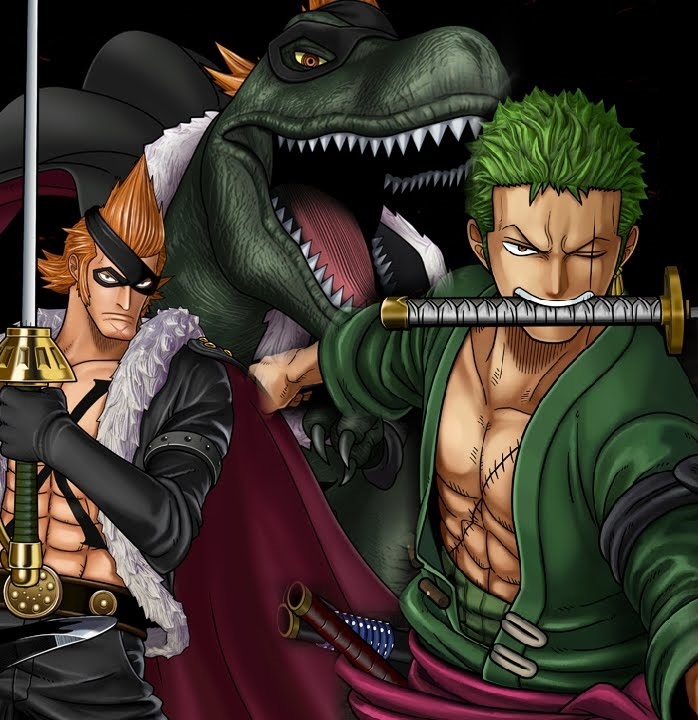 It was speculated that the tiger represents Zoro while the dragon forshadows his future enemy in Wano and I think that is X Drake because as you all know X Drake’s devil fruit is introduced as a Ryu Ryu no Mi or Dragon-Dragon Fruit.